The first vines were brought to Uruguay by Spanish settlers in the XVII century. 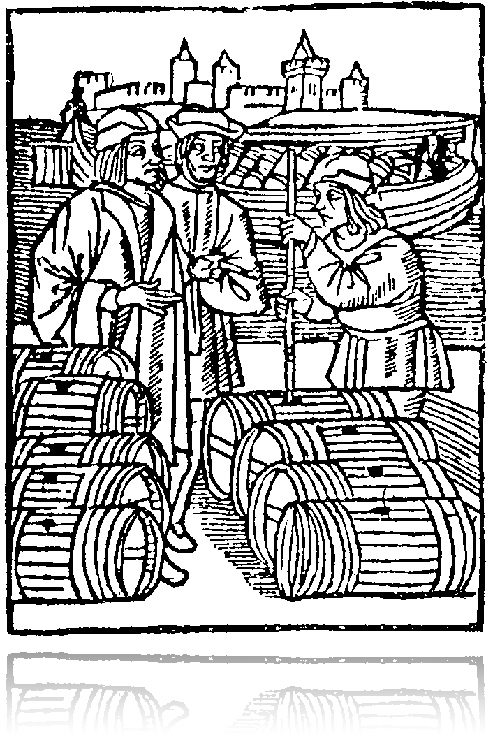 During the second half of the 19thcentury, Pascual Harraigue, travelling from the Basque Country, brought the Tannat grape, which is now the flagship of Uruguayan wine. This particular grape offers powerful tannic wines. Average temperature is 16°C with highly pronounced seasons. Cold winters, hot summers and important temperature variations between daytime and nighttime during the harvest period enhance the wine quality. Close to Montevideo, Libertad sits on the 34th Parallel South, which puts the Terrazul vineyard on the same latitude as the best New World wine areas such as Argentina, Chile and Australia. Known for their strong and generous tannins from which it takes its name, this variety was born in Aquitaine, in the South of France. Uruguay is now the mainTannat wine producer. As withmost red wines, tannat aromas are characterized by a sweet taste of fruit when young. Blackberry, blackcurrant and red fruit aromas, are enhanced with hints of blond tobacco, game and fur flavors as it ages. Tannat variety produces nervous, tannic, colored, wines with considerable acididty. This powerful structure allows the red wines to develop intofull-bodied, fine wines, perfectly suited to ageing. The Sauvignon grape traces its origins to western France in the Loire Valley and Bordeaux Regions. In the 18th century. It was crossed with the Cabernet Franc grape, giving birth to the famous Cabernet-Sauvignon. Sauvignon aromas are highly specific depending on the terroir, vintage or growing conditions; it could offer hints of broom , blackcurrant buds, or box. Sauvignon also frequently comes along with notes of citrus (lemon, grapefruit) or flower (rose, narcissus, jasmin). Clay soils can occasionally provide it with mineral flavors such as flint. Sauvignon provides very elegant, balanced and distinctive dry wines, muchappreciatedin their youth.. Recent research on Sauvignon’s aromatic potential has enabled balanced, less vibrant but still powerful and smooth wines to be obtained by skin contact maceration. The Perdriz range provides the entry to our Uruguayan wine universe. With flattering flavors for the white wineand delicate and classy tannins for the red wine, this range offers the best value for money ! 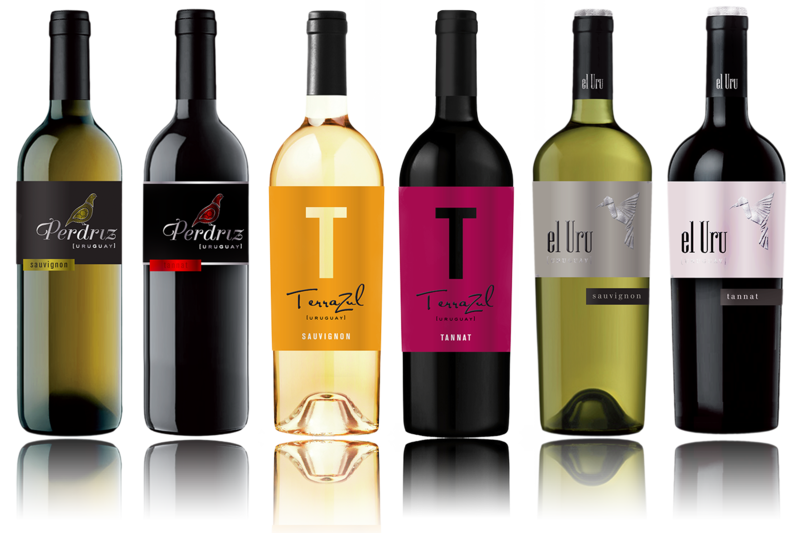 The Terrazul range, brings you fine rich wines to savour from moderate yields on noble soils. The range provides an astonishing breadth of aromatic intensity ranging from the minerality and elegance of the sauvignon to the tannat with its power matching its colour, its generosity, its invigorating structure and its characterful but measured tannins. El Uru is the Bodega Terrazul’s limited edition: long development in carefully selected oak barrels for the red wine, cold fermentation and maceration on fine lees following state of the art French and New Zealandtechniques for the whites.ly This range is produced from very low yielding vines which are meticulously and constantly cherished allowing us to express through these wines all of the delicacy and wealth of our terroir.